All students have the support needed to realize well-being and success. We fundraise to provide programs and services that help students overcome barriers and succeed in school. Our job is to fundraise for programs and services that overcome barriers and help students succeed in school. We believe that all students should have the support they need to realize well-being and success, and we’re committed to creating equal opportunities for all students. 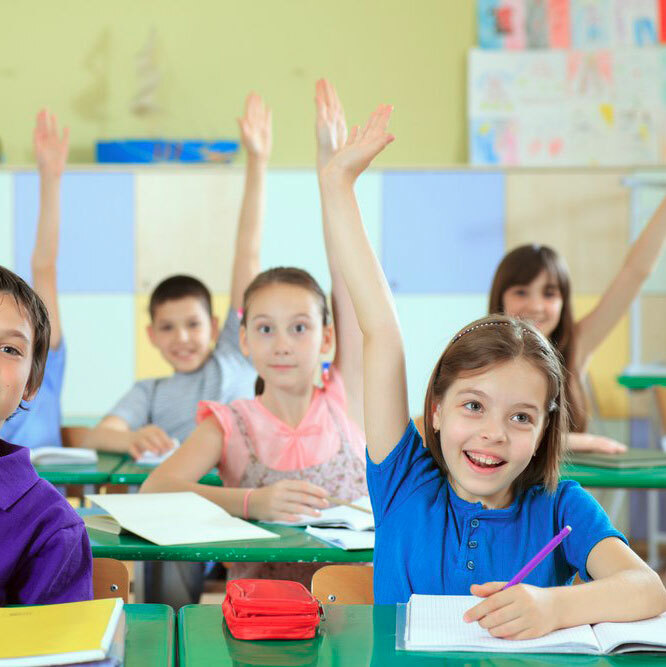 Programs – such as Prom Project, the Good Backpack Program, the Student Emergency Fund, and our Student Nutrition Programs: Food for Learning, Food for Thought, and The Food Sharing Project – help students to actively participate in their school life. Our programs are universally accessible to all students, breaking down barriers and leveling the playing field in a non-stigmatizing way. I would encourage you to spend some time on the hpelearningfoundation.com website to get a personal sense of how these programs can affect those in your local communities and how you can support the efforts. In August of 2017, through work I had the opportunity to relocate from Ottawa to Belleville. 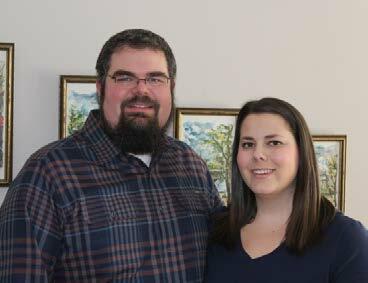 My wife and I were excited about the prospect of moving closer to family, as were our two young children. As we put roots down in Belleville I knew I wanted to get involved within the community. FRESHCO and the Hastings Prince Edward Learning Foundation (HPELF) had a pre-existing relationship through the Food for Learning Program. This local program ensures that all students have daily access to breakfast, lunch and/or snacks while at school. Seeing how the program worked sparked my interest in the Learning Foundation. Discovering that Hastings and Prince Edward County is the most food insecure board in the province came as a shock to me. 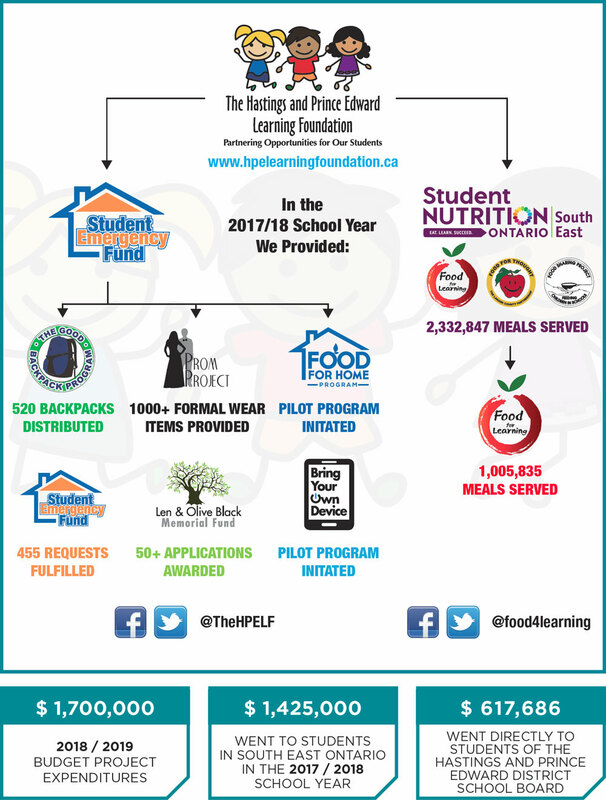 I soon saw how involved the HPELF was, not only when it came to supporting the Nutrition Ontario Program through their food programs: Food for Learning, Food Sharing Project, Food for Thought; but also programs with a high social impact within the local schools. I felt compelled to become more involved and put my name forward to be considered for a seat as a Director on the HPELF board and was accepted in November 2017. Throughout my first year on the board I have witnessed the great work that is done by local school communities and all the different programs run by the HPELF. Whether it has been seeing the pictures of the students at the Prom Project, noticing the growing use of technology in the schools and how the HPELF supports inclusivity through the Bring Your Own Device Program. I have had the opportunity to hear local principals speak about how the programs the HPELF provides to the schools are used by their students. These first hand accounts emphasize the impact and importance these programs have in ours schools. Especially the Good Backpack, the Student Emergency Fund, and the new Food For Home programs. FRESHCO is included as a food hub support of the Food for Learning Program. Weekly, I’ve seen how much work and energy goes into this program that serves over 1 million meals a year. I would encourage you to spend some time on the hpelearningfoundation.com website to get a personal sense of how these programs can affect those in your local communities and how you can support the efforts. My wife Laurie has also become involved as a volunteer with the HPELF. Since Jon and I have moved to Belleville, I’ve become involved with the Learning Foundations’ Good Backpack Program. The Good Backpack Program provides backpacks filled with school supplies for students in need, no registration fee, and no questions asked. Families and students can apply confidentially with the school administrative staff in the spring and arrange pick up in the late summer before school starts. It’s inspiring to see local businesses and community volunteers collaborate to ensure that students have the right tools for success regardless of financial means. Last year it was my privilege to work with several volunteers to help fill and distribute 520 backpacks. In addition to my work with the Learning Foundation, I sit on our son’s School Council which helps to develop strong relationships between home, school and the wider community. On School Council we work to enhance educational opportunities for all students at the school and to help students develop their full potential. I also support the Parent Involvement Committee (PIC), as a Community Representative. PIC encourages parent involvement in children’s education, and Supports students achievement and well-being. The Learning Foundation programs and services strive to eliminate barriers to allow students to succeed in school. With the right tools for success, the community benefits as well as, the children. I encourage everyone to get involved in the community through volunteering and making donations. Donations made to the Learning Foundation stay within the community. Supporting these programs both personally and through our business, Jon and I know we are helping our neighbours, friends and community. For our family it’s an easy decision to support the Learning Foundation through volunteering and personal donation, because we have both witnessed the positive impact this foundation is having within our schools, and greater community. She told me that my call was like an answer to a prayer. She thanked me until I’m pretty sure she didn’t have any thank-yous left. As a school principal, I think I have the best job in the world. I have the tremendous privilege to work with and to celebrate with our families and our students as they overcome obstacles and take monumental steps towards their goals and lifelong success. I also find myself supporting our families and students as they tackle the lowest of lows. And, one of the critical pillars of support that we as a school and a board provide comes to us by way of The Learning Foundation. Since the beginning of my career with Hastings and Prince Edward District School Board 3 years ago, I have seen the funds from The Learning Foundation used in a number of ways: Supporting the purchase of eyeglasses, providing assistance with travel to crucial out-of-town medical appointments, immediate nutritional support through Food for Learning, emergency housing support for a family in dire need, assistance with the purchase of second hand laundry equipment for a student who was coming to school with dirty clothes, assistance with accessing curricular and extracurricular opportunities, the list goes on and on. By far the most memorable experience that I carry with me has to do with the Food for Home Pilot Program that we thankfully were asked to be a part of recently. 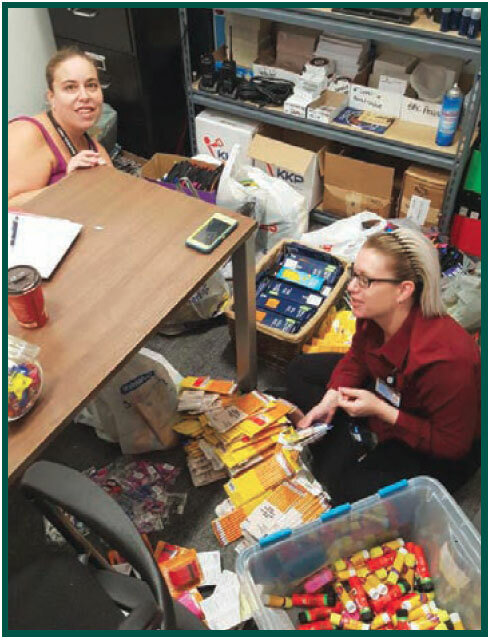 It involved providing support for food insecure families in our school community by way of $50 grocery gift cards every week for 10 families for 8 weeks in the summer, 2 weeks at Christmas and 1 week over the March Break. The challenge here was selecting 10 families who could most use the support. In our community, so, so many families could have used this support, but we needed to select 10. With the help of our in-school student success team, we were able to identify and support the families that we believed were most in need. Then, I set out to contact all of the families to ask them if they would be interested in participating in the pilot. Let me tell you, those conversations will stay with me for a long time. There was disbelief. Remember, not everybody had good experiences in high school, and now to have a high school principal contact you and claim that he was able to provide a substantial amount of support with groceries was unbelievable for some. There were tears. Heartfelt tears of immense gratitude. One mom, whose husband could not work due to a short-term illness, broke down and told me through tears that at the moment I called, she was sitting trying to figure out how she was going to feed her family that week. The last family I had to contact was not reachable by phone, so I went looking for them. What I saw when I found them was heart-breaking. I don’t really know what third world living conditions look like, but I can’t imagine that it would be much different from the situation this family was living in. For fear of upsetting you, I will not provide any further details. I think that when I got back to the school, I immediately called Maribeth. In that moment, after all of those conversations and seeing what I saw with that last family, I needed her to know that what she and The Learning Foundation team and all of the donors and volunteers do matters. That it is important. That it is needed. And that it is appreciated, so much. I’ve heard it said that the value of a society is not in the collective wealth that it is able to create, but in how we collectively treat those most in need. 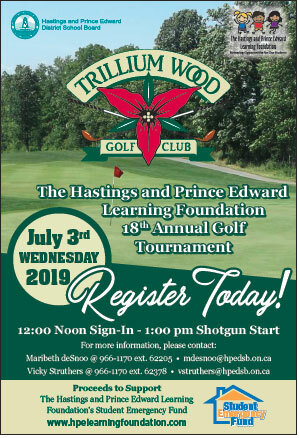 I am proud to work for a board that has a charitable arm like The Hastings and Prince Edward Learning Foundation that takes care of those who need it. Why I Support the HPELF! Our children are our most precious asset and as such, every child deserves the best start in life we can give them. As a principal, I see first-hand the impact that The Learning Foundation has on our students, their families and in our schools. So when I consider where I want to direct some of the funds I put aside for giving to various causes, The Learning Foundations becomes an obvious choice. As a parent I have never been in a position to have to make choices between heat and food; nor have I had to delay, or even worse, not buy, my children eye glasses or pay for their prescriptions. Yet I know that these are the decisions faced by too many families in our schools. I choose to give to The Learning Foundation because I know that the money I give will directly impact the lives of children. I know whatever I give makes a difference for children and their families. Our children are our most precious asset and as such, every child deserves the best start in life we can give them. Our children shape the future. If in some small way, I can ease the burden of a parent and ensure that a child is therefore given access to opportunities for success because of my donation to The Learning Foundation, it is something I willingly do. When you give to The Learning Foundation, you are helping to build futures; you are giving our students and their families hope for a brighter tomorrow; and you are investing in our most valuable asset. Our donations make a difference and tremendously impact the lives of so many children. He believed that children should all be able to attend school and have what they need to successfully access their education. I have always been proud to be from the Hastings and Prince Edward District School Board and thankful for the years of dedication and support from all of the hard-working staff and coaches. They instilled many values that I have carried with me throughout my life so far such as, resilience, focus and hard-work pays off. These attributes have helped me to be successful and I cherish the ability to pass them on to my students today working with the Peel District School Board. My pride in always calling HPEDSB home, extends to my family. My mother worked many years in the board as an educator and administrator, my aunt and grandmother worked in early childhood education and transportation, my grandfather and uncle in transportation and my sister as an educator. I can remember when my father joined the Learning Foundation as a director and how inspiring that was to me. He believed that children should all be able to attend school and have what they need to successfully access their education. He became part of a program that went to great lengths to offer more opportunities to children who might not otherwise get those opportunities. I was so fortunate to have a loving family who blessed me with opportunity. Opportunity to be whoever and whatever I wanted to be. Any sport team or school presentation, they made sure I had what I needed to get the most out of my education and achieve my goals and dreams. Our family always made us aware of how blessed we really were and so for Christmas quite a few years back my grandparents encouraged all of us to give back to the community instead of giving gifts because they had all they would ever need. 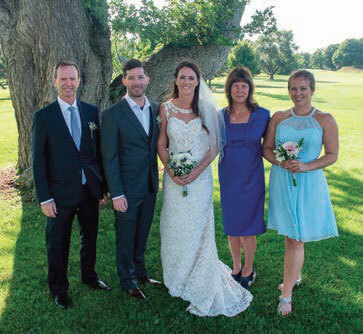 It only seemed right that for our wedding to honour the memory of my grandfather and the overall amazing family I have, that Kevin and I would give back to our own communities that did so much for us. We decided on supporting the Learning Foundation Good Backpack Program because of the special memories and inspiration offered to me by the amazing staff of HPEDSB and my family. In lieu of giving wedding favours to our guests, we decided to make donations on their behalf to pay it forward and bring awareness to a worthy cause. All children should have what they need to go to school and we hope that the donation and awareness will help to make that a reality for children who need it. 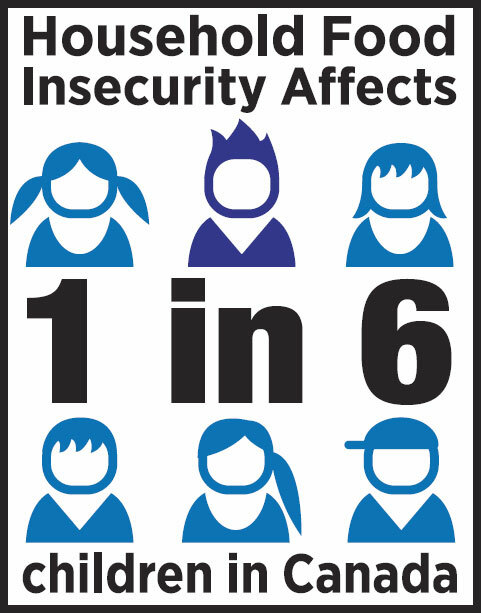 The current age of people experiencing homelessness in Hastings County was similar to national homelessness statistics, including 22% who were youth (aged 24 and under). For more than 20 years, Bridge Street United Church in Belleville has been providing nutritious meals to those in our community who are experiencing hunger and food insecurity. In the past few years, our program has expanded to include social research focused on homelessness to inform community responses to the underlying issue of poverty. In April 2018, Bridge Street Church and the Community Development Council of Quinte led a count of the number of people experiencing homelessness (i.e. enumeration of homelessness) in Belleville, Quinte West, Madoc and Bancroft over the course of one week. (1) Three types of homelessness were included: those who were: 1) Unsheltered, staying in public locations (e.g. forests, parks, ATM shelters) or places not intended for human habitation, 2) Emergency sheltered, staying in shelters, motels in lieu of shelter bed, or violence against women shelters, and 3) Provisionally accommodated, staying temporarily with others (e.g. “couch-surfing”) because they do not have a place of their own, or in transitional housing. 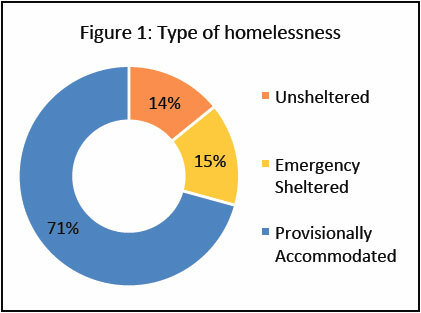 A total of 211 individuals experiencing homelessness, including 15 families, were surveyed, most of whom were provisionally accommodated (Figure 1). This is considered a minimum number of people experiencing homelessness during the enumeration period. Most of the surveys (95%) were conducted in Belleville and Quinte West. The current age of people experiencing homelessness in Hastings County was similar to national homelessness statistics, including 22% who were youth (aged 24 and under). 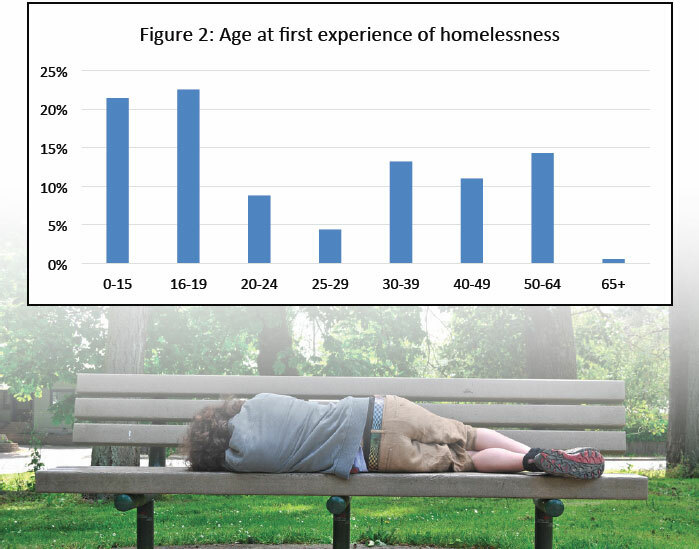 However, when asked about the first time they had experienced homelessness in their life, 42% of respondents reported having first experienced homelessness in their pre-teen or teen years (ages 11-19) (Figure 2). Such stark numbers provide some context for the need for meal programs in our community. They also demonstrate the urgency of community action to address the underlying issue of poverty. (1) A full report of the 2018 homeless enumeration in Hastings County can be found at http://cdcquinte.com/socialplanning/. 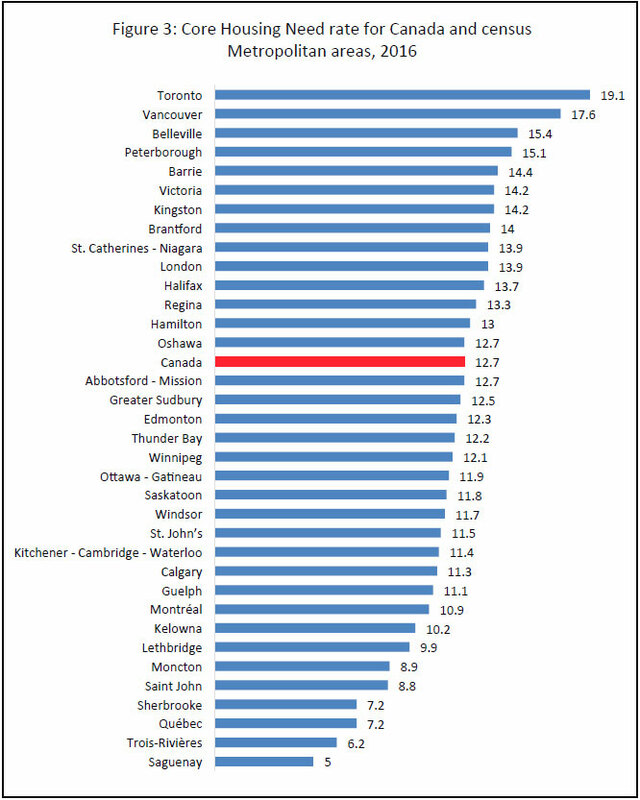 (3) Statistics Canada, “Core Housing Need, 2016 Census,” available online. 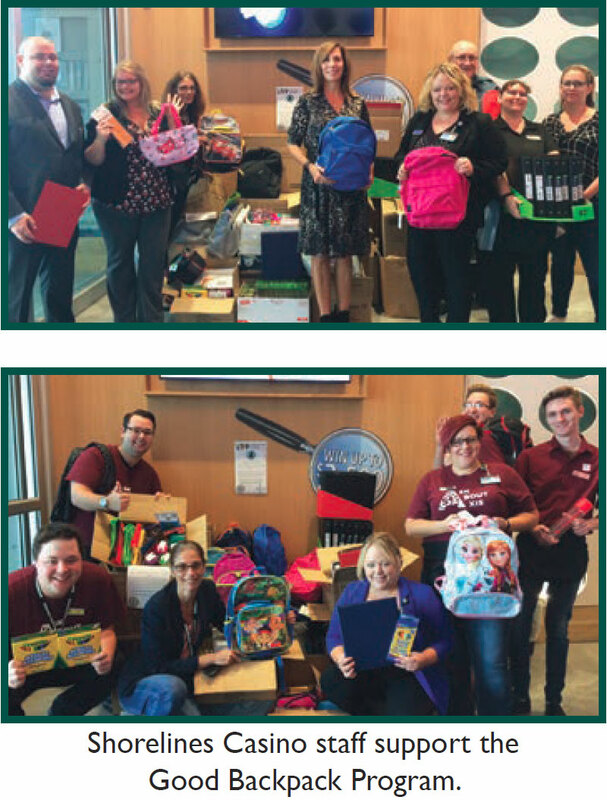 Our team members were tasked to gather the most school supplies they could…and they did just that! Over 1688 items including markers, binders and packs of paper were collected for The Hastings and Prince Edward Learning Foundation’s Good Backpack Program. We are #PROUD of our team! Incorporating charitable and philanthropic giving into wealth transfer planning. Supporting a cause that’s important to you. Doing a good deed to pay it forward. Helping those in need after a life-changing disaster or event. Giving back by volunteering your time. Making a difference by donating to a charity you are inspired by. These are just some of the ways many of us give — to our communities, to charitable organizations, to causes that are near and dear to our hearts. Yet while the majority of Canadians — over three-quarters of those age 15 and over — do make some form of charitable donation over the course of the year, (1) giving typically tends to be more reactional and sporadic in nature, and most individuals generally don’t incorporate giving into their overall wealth or estate planning. But if you take a step back and consider why you choose to give and what drives your charitable endeavours, the answer may likely be that it provides an opportunity to support areas and causes you believe in and to express your values in an impactful way. And for those who want to strengthen and preserve those values and beliefs over the course of their lifetime, and potentially also after their eventual passing, this is where it becomes important to consider the benefits that advance and structured planning around charitable giving can offer. While the tendency is often to think of wealth transfer primarily in the sense of passing down wealth to the next generation of family and loved ones (regardless of whether your intentions are to do so during your lifetime, through your Will, or a mixture of both), building giving into your wealth transfer plans creates the ability to streamline your giving in a way that meets individual and family intentions, offers potential tax benefits, and may greatly contribute to creating an enduring legacy. 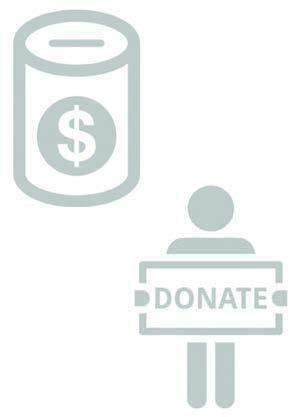 Giving can take on many forms, but it generally exists within two main categories. On one end of the spectrum is on-demand charitable giving, which may be charitable donations that are completely spontaneous or in response to an immediate need, opportunity or request. This may also include regular donations made monthly or annually, or perhaps at a specific time of year, such as the holidays. On the other end of the spectrum is strategic philanthropy, which is a more structured and targeted approach to giving. Instead of being more responsive and unplanned, like charitable giving often is, philanthropy is proactive and involves establishing a long-term plan for giving in a way that defines and works towards individual or family goals. This form of giving provides the ability for individuals to map out their giving in a way that may better reflect their beliefs and values, and it also allows individuals to organize how and when they give — and through what means — creating the ability to generate a lasting impact both during one’s lifetime and after. Regardless of what your personal beliefs are and the level of emphasis you place on giving in your life, there are a number of ways to incorporate philanthropic giving into your wealth transfer plans. And further to the tax advantages it may offer, a more strategic approach can also result in more meaningful giving for the donor and create a greater impact on society over the long term. When considering any form of wealth transfer, whether it’s passing wealth to heirs or incorporating charitable or philanthropic giving into your plans, it’s crucial to thoroughly assess and prioritize your own potential and certain financial needs before making any planning decisions. After carrying out detailed wealth planning, if you determine that this form of giving is something you can afford and want to pursue in a more strategic way, there are a range of options available. An important starting point for all individuals is to reflect on their current giving approach, their core beliefs and values, and what causes or organizations are important to them. 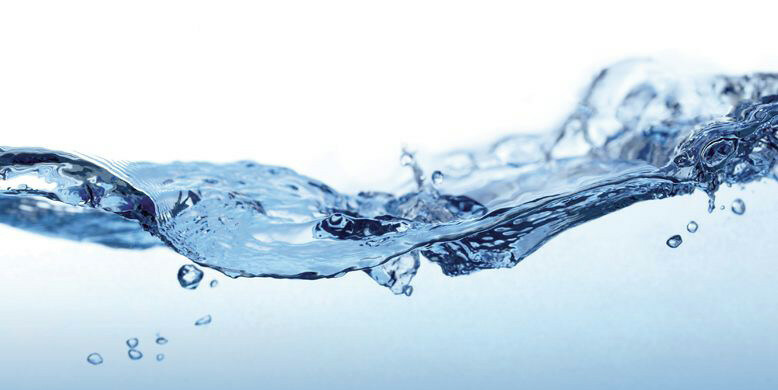 For example, you or a loved one may have a personal history with a specific charitable organization, or you may have a strong commitment to a certain cause, such as preserving the environment or promoting the arts. Thinking about these aspects will help to form the basis of your planning and will provide clearer direction for structuring the most ideal timing and approach to achieve your objectives and express values in a way that balances personal, family and tax considerations. Note: To ensure your specific needs and goals are properly accounted for, it’s crucial to consult with qualified tax and estate planning advisors, as they can provide planning guidance around how charitable giving could fit into your overall financial and wealth transfer picture, as well as the potential amounts, timing and type of your gift. How much time and/or financial support are you comfortable to commit to a charitable endeavour or giving now and over the long term? Do you feel strongly about continuing to support a cause or an organization not only during your lifetime, but after as well? What are the potential income tax considerations associated with giving during your lifetime versus through your Will? As a means to encourage Canadians to give charitably, there are some government income tax incentives available. Generally speaking, when a charitable gift is made to a registered charity, a donation receipt is issued for the fair market value of the donation, net of any benefit received (for example, the cost of the meal at a charity dinner). 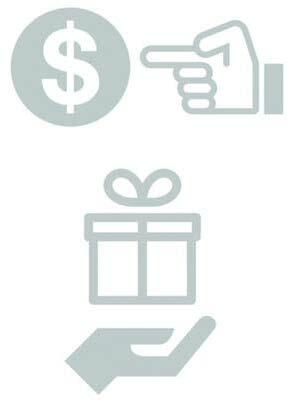 You may then be able to claim a donation tax credit, in the year of the gift. The amount of the donation tax credit that can be claimed is dependent upon the value of the donation, because it cannot exceed 75 percent of your net income for tax purposes; in Quebec, the limit is 100 percent of net taxable income. Donations can be carried forward for up to five years, so even if the full donation cannot be used in one tax year, the excess amount may still be claimed in a future tax year. For donations that take place in the year of death and the year immediately preceding death, the limit is 100 percent of net income for tax purposes. And, when a donation is made to a registered charity under your Will, your executor may have some added flexibility in their use of the donation tax credit. Depending on your circumstances and goals, certain approaches may offer immediate or long-term tax benefits, and at the same time, may provide structured options that help to fulfill your charitable intentions whether you choose to give now, later or ongoing through your lifetime and beyond. For example, while donating cash is the most widespread and straightforward form of charitable giving, it’s also possible to donate non-cash gifts, including capital property, art and other collectibles, eco-gifts, private company shares or even life insurance policies. In particular, donating publicly listed securities may present a tax-efficient opportunity for some, as donors may benefit from the elimination of tax on any accrued capital gains, as well as the donation tax credit. In many cases, these donations can take place during your lifetime, but there are also options for making specific charitable bequests in your Will, whether it’s a residual gift (a percentage of what is left of your estate after other gifts and debts have been paid), a specific gift (a fixed sum of funds), or a specific item of value (such as art, antiques or jewelry). It’s also possible to make a gift on your death by naming a registered charity as the beneficiary of certain plans and policies, including your Registered Retirement Savings Plan (RRSP), Registered Retirement Income Fund (RRIF), Tax-Free Savings Account (TFSA) or your life insurance policy. Those who may be interested in creating a more ongoing pattern of giving or who wish to build a more personalized approach may want to consider either a private charitable foundation or a charitable gift/donor-advised fund. Generally speaking, private charitable foundations may be suitable if you are willing to make a greater time commitment and devote additional resources to charitable activities, whereas donor-advised funds provide an appealing alternative for some, as they enable donors to create an enduring charitable legacy with lesser demand on time and lower cost than a private foundation. Given the wide range of options, as well as the specific considerations for each, this is where your qualified tax advisor can be an invaluable resource to help navigate through the restrictions, taxes or potential advantages or drawbacks of both the type and timing of gift you want to pursue. For additional details on the various options and types of giving, please view the RBC WM Charitable Giving guide at https://ca.rbcwealthmanagement.com/documents/10180/0/Charitable-giving-english.pdf. For those who’ve established a charitable gift fund with a public foundation, one of the potential advisory rights could be the ability to recommend grants from the assets available for grant making to qualified organizations. With this in mind, it’s important to give thought in advance as to how you would want grants to be distributed if you were to become incapacitated or upon your passing, and this can be accomplished through completing a “Legacy Intention Form” or by writing a letter of intentions. This information can provide insight into your charitable objectives, including identifying specific grant recipients, preferences for programs or purposes, how amounts should be divided among recipients and the value of your grants. In general, it provides an opportunity to clearly state your overall charitable priorities and interests, and any other information that you would like considered in future granting decisions for your fund. While basic definitions of a “legacy” often focus on the passing of money and property to the next generation, for many individuals, building a lasting legacy goes well beyond these aspects. Many view a legacy as being much more holistic, and it often includes everything from beliefs and values, to intentions and wishes to traditions and reputation. In this regard, further to passing down wealth to heirs and expressing your intentions that way, structured giving may present another ideal option to help solidify your legacy in the overall sense. 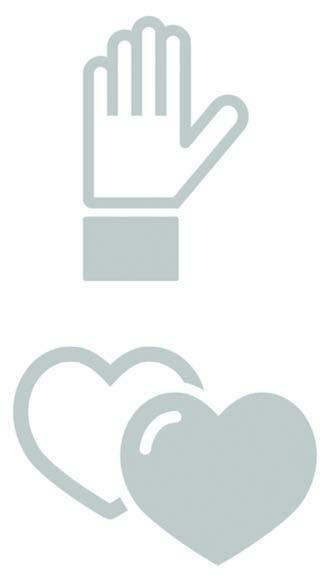 Whether you have a strong commitment to philanthropy or you lean more towards a simpler legacy gift, planning your charitable and philanthropic giving in advance will help to assure that the areas you feel strongly about during your lifetime continue to receive support and that your commitment to certain causes can live on in the years to come. And in much the same way as transferring wealth to heirs, it’s beneficial to make your charitable intentions known among family members and heirs and to discuss your individual and family values. Doing so will help to provide clarity around the wealth transfer decisions you’re making, and may also present an opportunity to develop a shared sense of motivation and purpose in giving back within your family. This in itself can be a very powerful catalyst for embedding those values through multiple generations and thus further strengthening a legacy that endures. The RBC Charitable Gift Program enables individuals and families to make meaningful and ongoing contributions to a charitable gift fund managed by Gift Funds Canada. From a legacy standpoint, it provides the opportunity to express and strengthen charitable values during one’s lifetime and then preserve them for generations to come. Multiple generations can get involved in the process and collectively discuss how to direct the contributions each year, and unlike a one-time, major gift to a charity, this type of charitable giving can live on for years and potentially indefinitely through a lasting gift. Furthermore, through this program, you can provide annual giving to one charity you support or spread out grants to many charities over time. For more information about the RBC Charitable Gift Program, please speak with your RBC advisor. Values and beliefs — in all aspects of life, charitable or otherwise — are something that many hope and strive to pass down to future generations of loved ones. For those with a charitable mindset or who want to build or deepen philanthropy within their family, being proactive with education can go a long way in helping to embed and preserve those types of values for generations to come. John M. and Bernice Parrott Foundation Inc.
Centre Hastings Community Support & Education Inc.
Doug Whitley Insurance Brokers Ltd.
We have learned that it isn’t about the size of the donation that matters, it is about each of us doing our small part to make a huge difference. We are proud to share that in August of 2008, we opened the first Papa John’s in Ontario. With a dream and a plan, Dave Stewart, Ron Neal and myself, Patti MacDougall, were determined to take the pizza world by storm. We knew we had a great product to offer, but knew that wouldn’t be enough. We wanted to be able to give back to the communities that were loyal to us and our brand. Over the past 11 years, we have had the good fortune to open 7 more stores in Trenton, Kingston, Peterborough and Cobourg. Our teams work hard every day to deliver on our brand promise to our customers. Through a personal tragedy, we found many very important charities and groups that needed support in many different ways in our communities. We have learned that it isn’t about the size of the donation that matters, it is about each of us doing our small part to make a huge difference. Over the past years we are very proud to sponsor local soccer teams and local hockey events. Golf tournament prizes for Rotary or for the MFRC, Camp Trillum, Chamber of Commerce, Habitat for Humanity, Belleville General Hospital Galas. 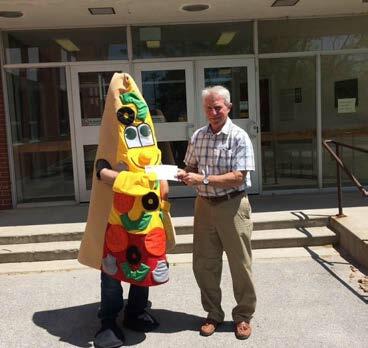 Pizza for a year certificates to the Guardian Angel Gala with Quinte Children’s Foundation, as well as being part of the Cheering for Children program. 100 Women Who Care is something else near and dear to our hearts. So many worthwhile causes everywhere. We have fed volunteers for Relay for Life, Operation Red Nose, Three Oaks, and are very happy to partner with Hastings and Prince Edward Learning Foundation for Prom Project and the Good Back Pack Program. The Learning Foundation is doing such important work in our community and there is nothing more important that ensuring our kids are getting the good start that they need to become the future. We offer a fundraising program to our “hot lunch schools”, it is easy for them to execute, we do the work and literally present a check the next day. 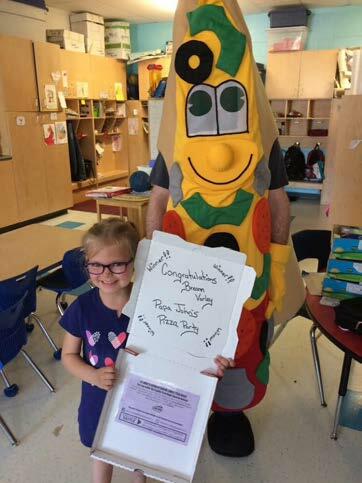 Again, at Papa John’s we understand that many teachers are having to use their own resources for extras in their classrooms, it is a small way that we can give back to our teachers and our schools. 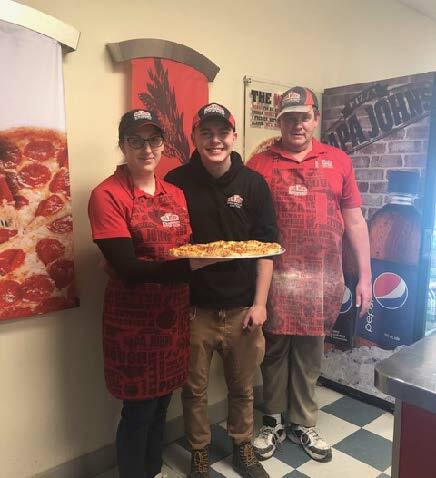 This year in our Papa John’s locations we have started “dress down Fridays”, where all team members for a $2 donation can wear jeans to work for that day. Each location at the end of the year will donate their funds to a local charity they have chosen. I have been given the good fortune of being on the front lines to see first-hand the excitement in a child when they are given a new back pack full of supplies to start their school year, or when they can start their day with a good breakfast. It truly does bring tears to your eyes and fills your heart to know that we are doing something bigger. We are honored to work with the Learning Foundation and the many wonderful charities in our communities that do such important work every single day! At Papa John’s we truly believe that “together we are better”. Student Nutrition Programs are affecting the lives of students every day and they are able to tell us how. Throughout the school year, we often ask ourselves if our student nutrition programs are making an impact. We believe that breakfast, snack and lunch programs are making a positive difference in the lives of local children. Research tells us so, but how do we know for sure? Recently, we received a collection of letters of gratitude from local elementary students. They quickly confirmed what we had hoped. Student Nutrition Programs are affecting the lives of students every day and they are able to tell us how. We now know with certainly that our programs are benefiting local children and they appreciate the efforts made on their behalf. There are many reasons why students participate in a student nutrition program, and there are many benefits to each student for doing so. 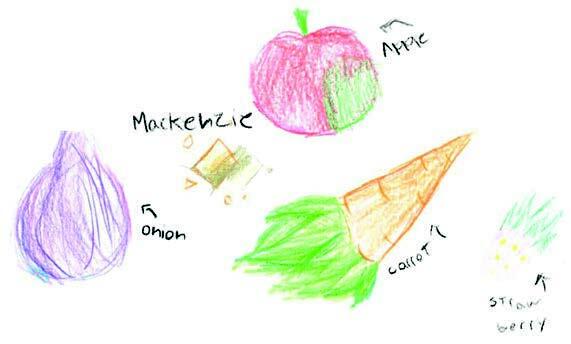 Please enjoy reading about Mackenzie’s experience and what student nutrition programs means to her. Hi, my name is Mackenzie and I am a grade 5 student at Queen Victoria School. I would like to type you a letter and thank you for providing the money for food bins. This has personally helped me out because sometimes I don’t end up eating breakfast and I can’t learn because all I’m thinking about is food, and because of your food bins I can learn and I’m not hungry in class. Sometimes my parents don’t have the money because we have a big family and I don’t get a big lunch but when I’m done my lunch I get a snack from the snack bin and I’m not as hungry as I previously was. I can come back from recess still able to learn. It has really impacted me and my learning experience. Support us and receive news and updates in your email. Unsubscribe at any time.